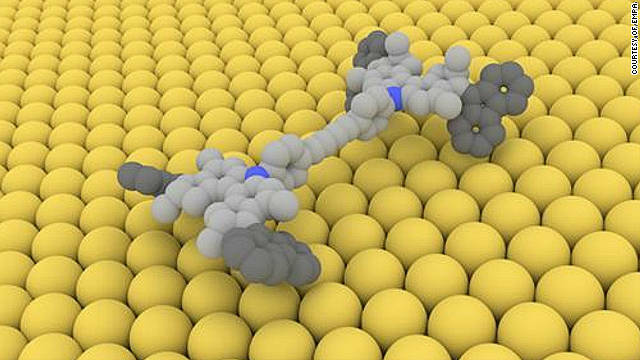 A tiny nano-sized car which can propel itself forward in response to electrical pulses has been created by scientists in the Netherlands. The electric-powered vehicle, which is the size of a single molecule, has a chassis and four paddle-shaped wheels and is roughly one-billionth the size of a traditional hatchback car. Its maiden journey wasn't exactly epic - six nanometers - and its fuel-efficiency wasn't world-beating either, needing a jolt of 500 millivolts every half revolution of its wheels. Keep going guys and build me those nanites that will allow me live a few thousand years, good stuff !